Ilia Uvarov, Group Creative Director, Experience Design, R/GA London, and Ilker Kuruoz, Chief Technology Officer, Turkcell, in conversation about the changing healthcare landscape and what this means for Turkey's largest Telecoms provider. Healthmetre by Turkcell is a mobile health platform that helps people manage ongoing health conditions, day in day out. The app syncs with a user’s personal medical device (such as a blood glucose reader) and Instagram account, helping them record, track and share vital measurements and lifestyle details. Healthmetre maps a blood sugar reading directly to an Instagram image, allowing friends, family and doctors to see how patients are doing and give them a gentle nudge if needed. Ilia Uvarov: The World Health Organization has declared diabetes a "global epidemic", but what’s the reality like for people living in Turkey? Ilker Kuruoz: In Turkey, diabetes currently affects 1 in 7 adults and contributes to 1 in 3 deaths. But the worrying part is that these numbers would go down if patients could be encouraged to record and monitor their health data more efficiently. When you’re diagnosed with a chronic disease like diabetes your whole life turns upside down. It has an impact on every waking moment and you have to acclimatise to a new way of living that involves recording vast amounts of data every day. The easier this is for people to do, the better chance they have of managing their illness, feeling confident and preemptively responding to potential health problems. IU: So it’s clear that there’s a problem, but why would health, and the focus on chronic conditions like diabetes, be a natural category for a mobile operator to explore? IK: The critical factor here is connection – bringing people the tools they need to track their life on the go and enabling good communication between patients and physicians. We saw a clear way for Turkcell mobile technology to facilitate the data collection, and the transformation of that data into valuable information that’s required for people to manage their condition on a day-to-day basis. Then it’s all safely stored in the cloud, linking our products and services with our customers. We felt we were well positioned to offer a solution since we offer connectivity by default and have the necessary cloud infrastructure. IU: And you already have an established relationship with these customers. IK: Yes, we have a steadfast relationship with our customer base in terms of security, reliability of services, and storage of data. People trust us with their personal information and we understand how essential it is to safeguard that. IU: Turkcell has a very enviable market position. How have you used it to introduce new health services? IK: Turkcell has close to 35 million mobile customers who enjoy a complete ecosystem of products and services. It’s a relationship built over time, a solid foundation that allows us to imagine, execute and take products to market ahead of the curve, so we’re in an enviable position for sure. It also helps us to secure partnerships with leading educational bodies, which in turn ensures that our health products are robust enough to become a reality. We wanted to leverage this to create something truly valuable and long-lasting. But I think our interest in innovation is largely down to the out-of-the-box thinking that Turkcell employs as a lifestyle technology brand. We have evolved from a telco model to a services company model. There are of course many health apps out there, but the majority require patients already weighed down by ill health to enter lots of detail and decode complex statistics. We wanted to create something simple, human and effective. Something people could see and update on a daily basis. IU: It sounds like you were really thinking about people’s everyday lives – is that what inspired the idea for Healthmetre? IK: Definitely. The inspiration for the app came from a genuine realisation that success for mobile health products and services depends on their seamless integration into daily life. It simply has to fit with how things are. Sharing details about lifestyle choices, like exercise routine and food preferences, comes naturally to people now. The app is built on that human impulse to connect with friends, family and the online community, and that’s what makes it not only easy but fun too. It’s a timely evolution of the daily digital experiences many of our target customers are already engaged with. IU: Can you tell us a bit about how the app actually works? IK: Healthmetre is an app designed for patients living with chronic conditions such as diabetes and hypertension. It allows the user to record, track and share vital measurements and conditions. 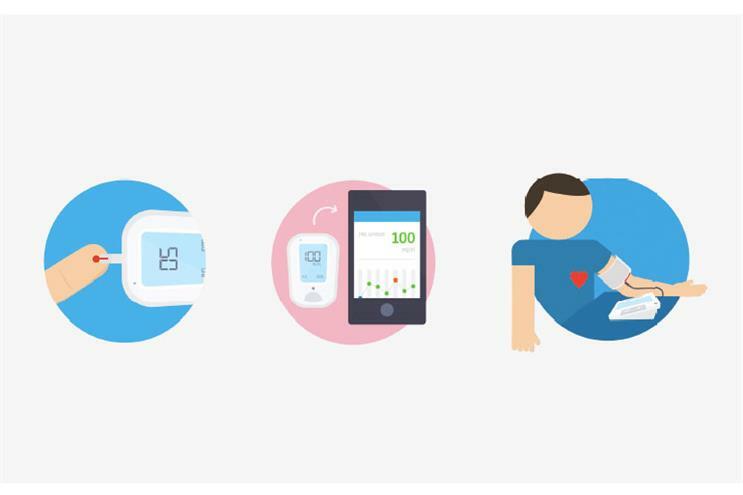 In combination with compatible Bluetoothenabled medical devices, patients caneasily register their blood sugar, blood pressure, heart rate, blood oxygen saturation and pulmonary performance functions. Users will be able to download Healthmetre via the App Store or Google Play and buy compatible medical devices like blood sugar and blood pressure readers through Turkcell channels. Once the app is downloaded, a personal electronic health record is created. Patients’ medical measurements are then automatically recorded in the secure Turkcell cloud, which can be shared with doctor or relatives. In the premium version, users can set alarm levels to warn of impending health problems and have the option to contact a 24/7 medical call centre whenever they need extra support. IU: The app is integrated with Instagram. Can you help us understand what this adds to the experience? IK: The app syncs with a Bluetooth glucose meter to record instant blood sugar measurements and a single tap maps your levels to an Instagram image. The beauty of Instagram is that it captures the moment, creating a window into people’s worlds, but it’s also "ordinary" – in that users take delight in the minutiae of daily life. For chronic diseases like diabetes, diet is so closely related to the condition that patients need to take care with every single meal. The ritual, routine and supportive community of Instagram are an ideal fit for the condition, allowing Healthmetre users to record and visualise daily blood sugar measurements via a photographic journal. IU: I suppose you could say that Healthmetre also socialises the disease in a way, by making the management of it something that everyone can take part in? IK: Absolutely. What’s great is that family, friends and even your doctor can look at how your day or week is going and give you a gentle nudge, either by liking what you eat or leaving a helpful comment. A supportive network makes all the difference in positive habit formation, and this kind of lasting behaviour change is essential to the long-term wellbeing of patients and the future viability of healthcare systems. In the context of ageing populations, sedentary lifestyles and obesity, mobile technologies like Healthmetre have the potential to reduce costs, help healthcare agencies plan services and strengthen doctors’ abilities to track their patients even when they are physically far away. IU: Healthmetre was created in collaboration with R/GA London. How did this partnership help to shape the development process? IK: We needed a partner who shared our interest in creating products and services that are useful and meaningful to users. R/GA has a history of doing that very well for brands like Nike, and it’s been a great experience working with them. They approached the challenge from a 360- degree perspective, recognising the importance of a patient’s state of mind. Essentially, they envisioned Healthmetre from a "people perspective", integrating Instagram as a human way to manage diabetes and help individuals develop healthy habits in a way that feels natural, and more easily becomes consistent. IU: How did you ensure that healthcare experts played a role in developing Healthmetre? IK: With our mobile health approach, we work hard to bring the medical community into the debate. Along with our M2M gateway, we launched an independent study conducted by Istanbul University’s Medical Faculty. The positive result established a bond of trust with a wide range of stakeholders, including patients, families, doctors and healthcare agencies. Establishing trust (especially with the user) and making a product that is easy and fun to use are the main challenges for mobile health products. Expert collaborators have helped us to navigate these issues and given us valuable insights for the future. IU: Being able to prove efficacy is a big deal in healthcare related products and services. How will you measure success? IK: Patient engagement is key in chronic disease management, but compliance to treatment is very low at 33%. In addition, awareness of mobile health products and their benefits among physicians and patients is only just above 0%. We’re measuring success across both of these markers, through downloads and related business income – as well as retention of the app, daily usage, frequency, community activity and customer feedback. 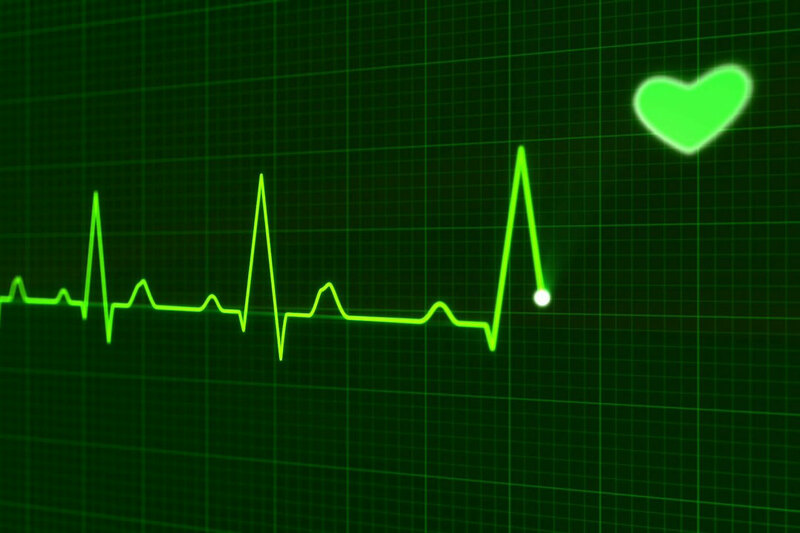 IU: And finally, what does the future of mobile health look like? IK: Our hope is that, soon, "mobile health" will no longer be seen as a novelty by those in the healthcare sector – including patients – but as a native component of the system. We’re in a market-maker position in mobile health, as a result of creating both products and services, and awareness among key players: doctors, hospital chains, private health insurance companies, pharmaceutical companies and governmental bodies such as MoH and Social Security. And we intend to focus on two key elements in the future: continually improving user experience and developing new measurement devices to expand the reach of our platform and support more conditions. IU: And the bigger picture for healthcare provision? IK: With the current demographic and epidemiological trends in healthcare, a sustainable system is going to depend on mobile technologies to increase productivity and patient satisfaction. We believe that with the best-in-class user experience, competitive pricing and strong emphasis on market creation, today’s innovative mobile health solutions will one day become as natural as a prescription.